You’re probably thinking, where on earth do you get good vegan food in Calgary? 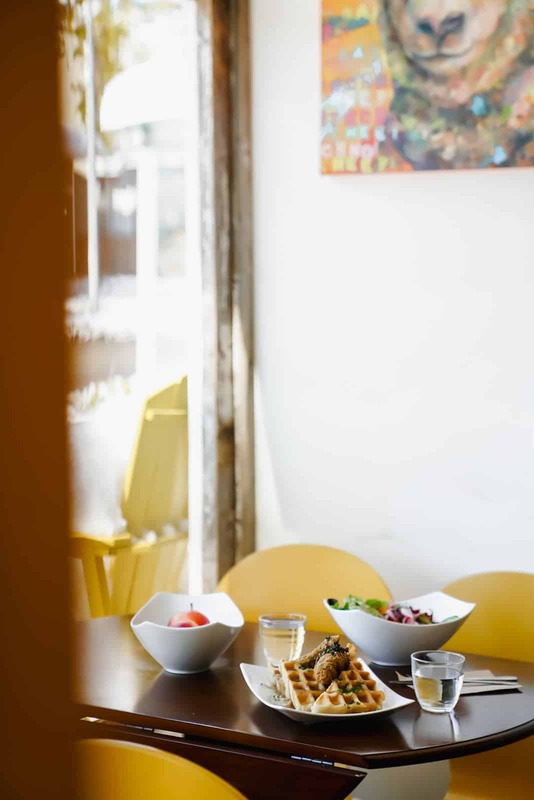 Well, plant-based eating is making a huge impact on our community, so there are truly many more hidden gems throughout the city that a lot of us have no clue about! 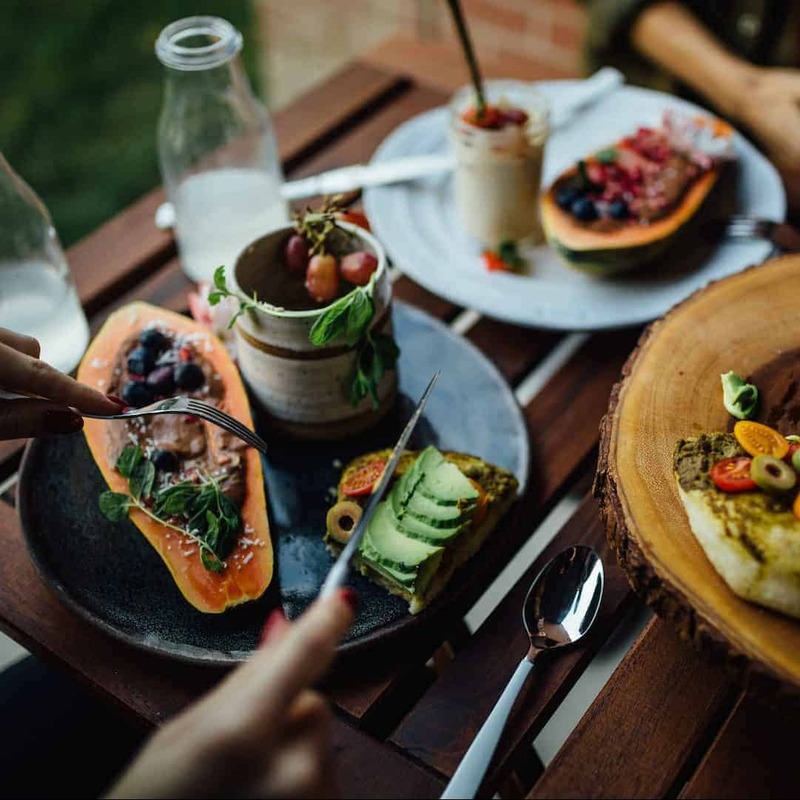 To raise awareness and help support local I have teamed up with Travel Alberta to share with you my top picks for comforting plant-based meals. All I can say is… get down to these locations now! 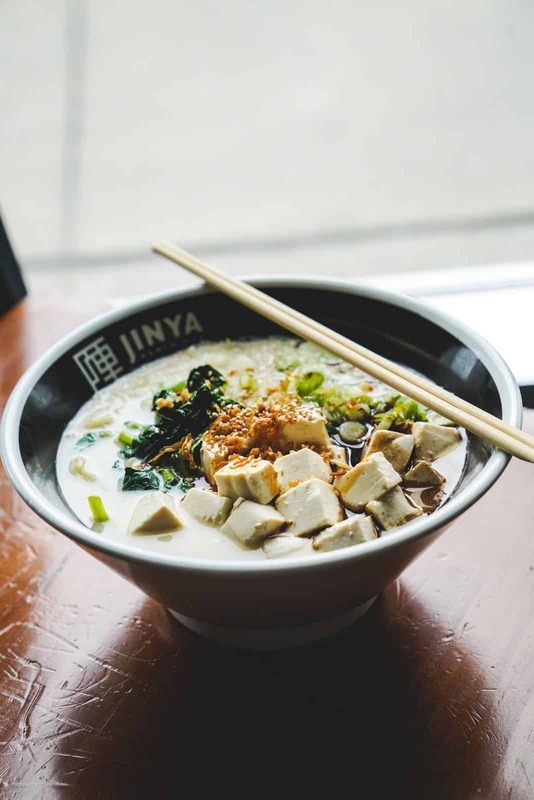 In the heart of Mission lies Jinya Ramen Bar offering, in my opinion, the best bowl of plant-based ramen you can find in Calgary. This ramen is seriously so good you’ll want to eat it even when it’s the middle of summer. 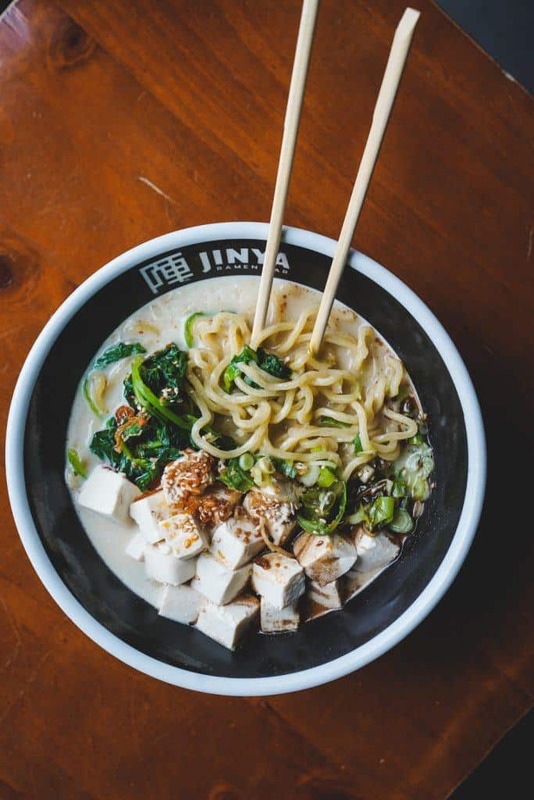 The Creamy Vegan Ramen is an absolute showstopper! 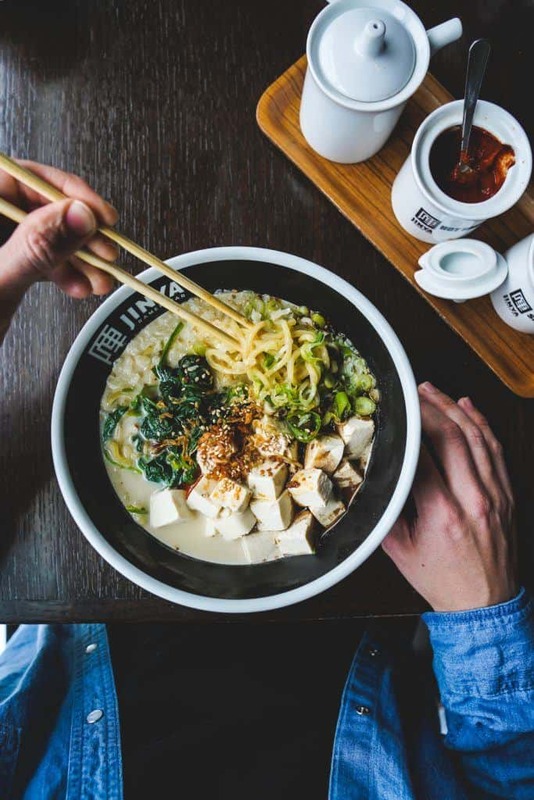 The broth has rich depths of flavour and the noodles will keep you coming back for more. Chunks of tofu, steamed spinach and fried onions top off this master piece making it the full-meal deal. Don’t forget to try the tempura brussel spouts for an appetizer you will not regret! 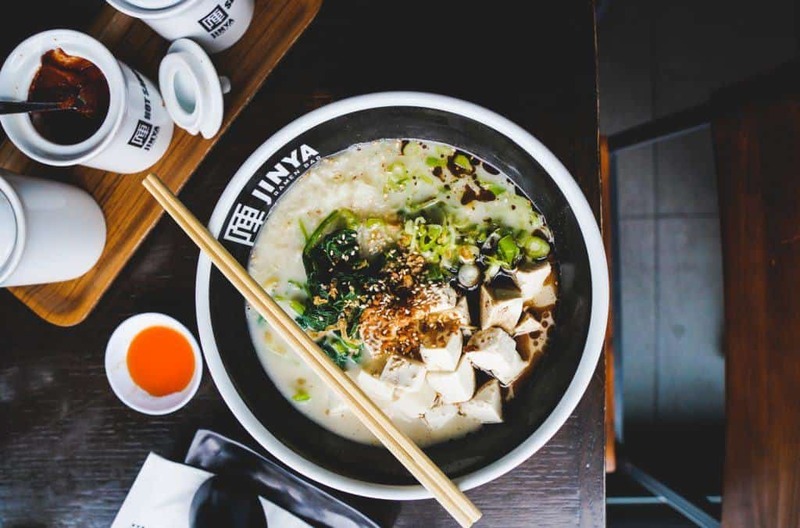 Follow them on Instagram at @jinyaramenbar or find them at 180 – 1800 4 Street SW in Calgary. 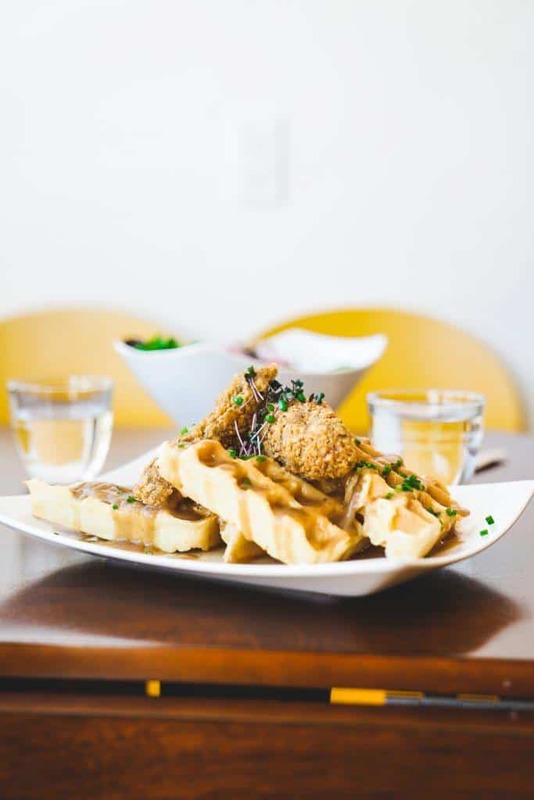 The Dandelion Cafe is Calgary’s latest and greatest addition to the vegan and plant-based restaurant scene. Tucked away in Ramsay this fully vegan cafe offers handmade plant-based desserts, kombucha on tap, and a menu filled with comforting classic dishes. The Chick-tan & Waffles is a best seller that you won’t want to miss. 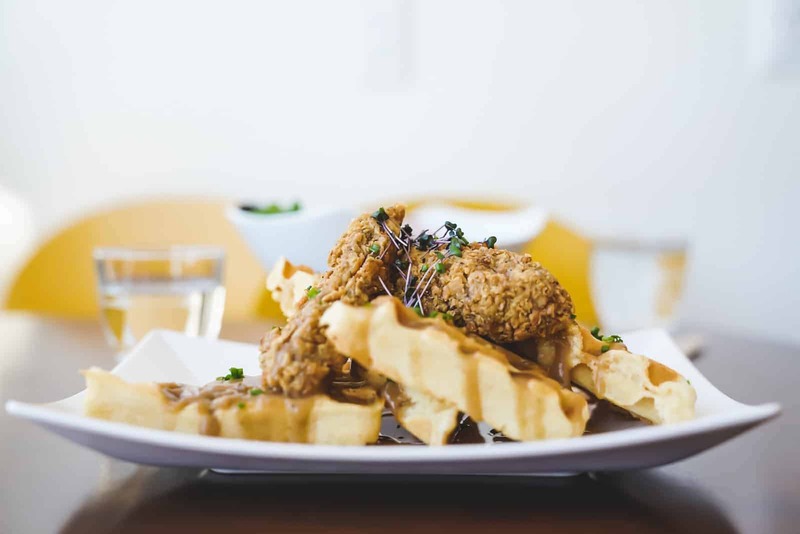 The “chicken” is made from traditional poultry spiced seitan with a vegan buttermilk batter and is laid on top of light, airy, and mildly sweet waffles. Deep savoury peppercorn gravy coats the dish and drizzled on top is real Canadian maple syrup. 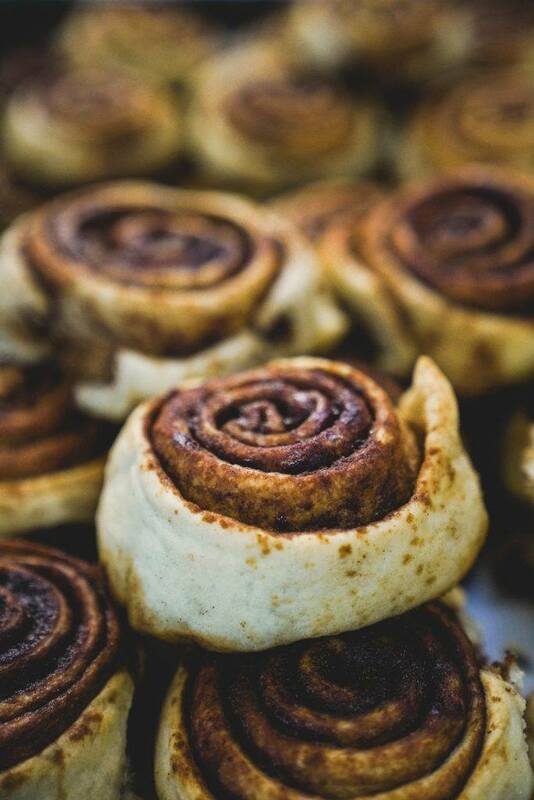 If you’re not already drooling, we can’t be friends. If a savoury and sweet combo isn’t your thing, they have a full menu of amazing vegan meals that will not disappoint. Check them out on Instagram at @thedandelioncafe_ or in person at 1048 8 Street SE in Calgary and tell them I sent you! 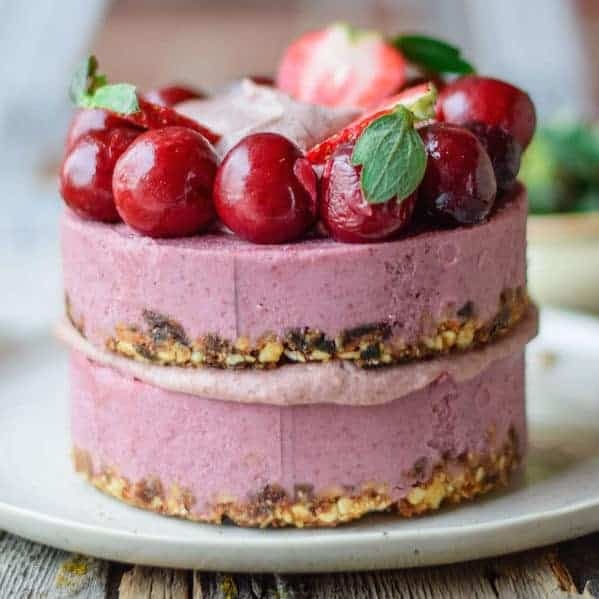 This fully vegan cafe offers handmade plant-based desserts, kombucha on tap, and a menu filled with comforting classic dishes. 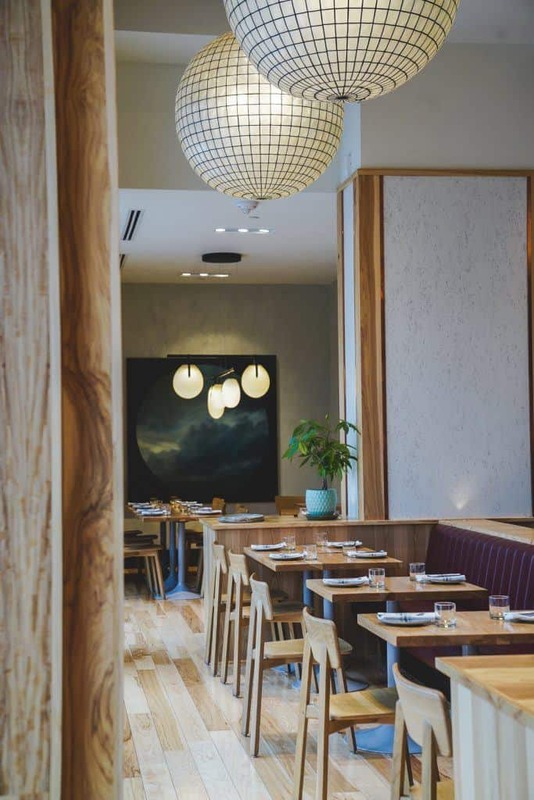 It’s no secret that the Beltline district of Calgary hosts some amazing restaurants, and Donna Mac is one of them. 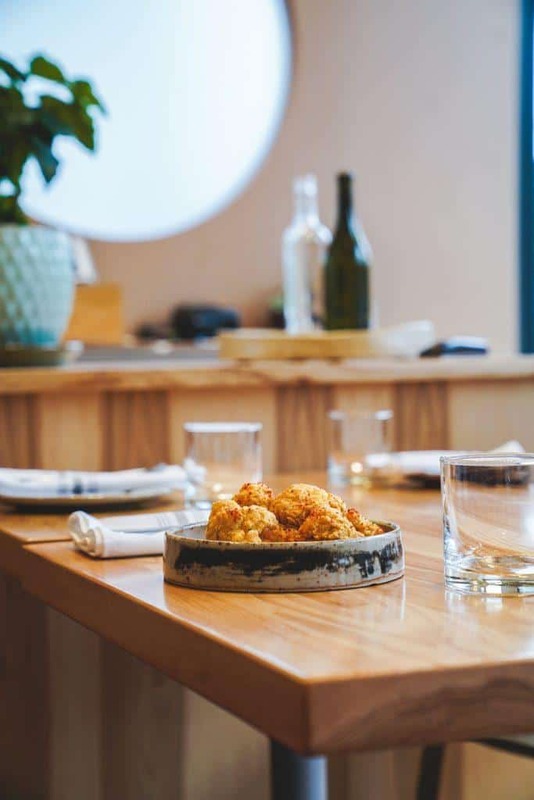 Donna Mac is an elegant restaurant with a full cocktail menu and some sneaky vegan dishes. 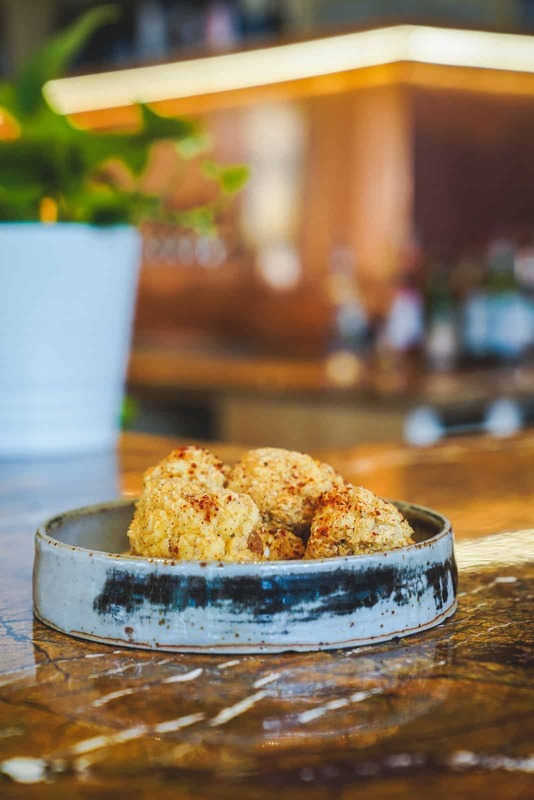 The Fried Cauliflower is a beautiful and delicious vegetarian dish that can easily be made vegan upon request. And for cauliflower, it’s surprisingly chicken-like! 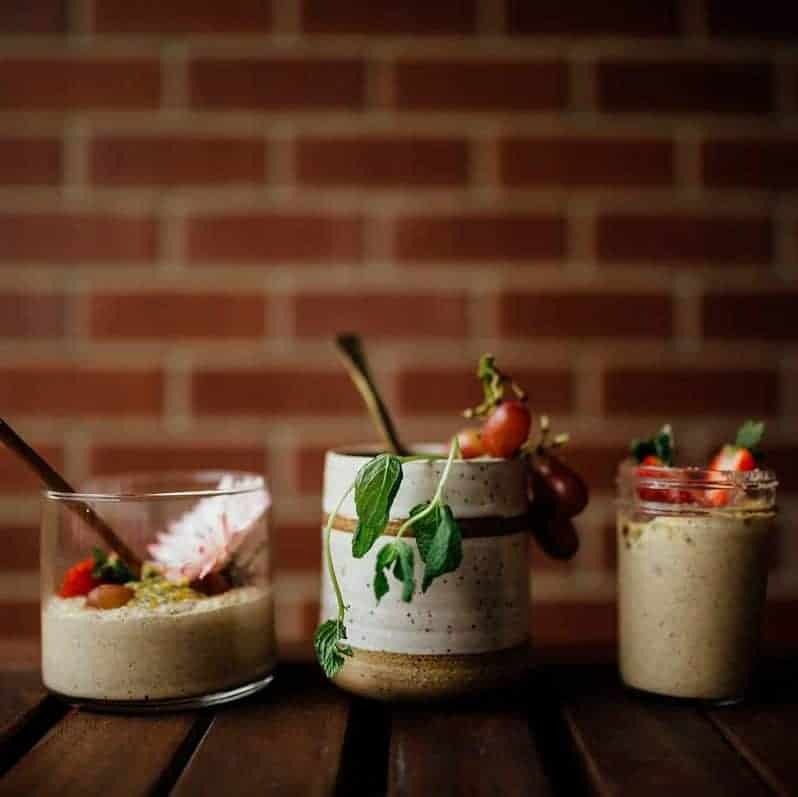 Perfect for date night or outings with friends, the offerings are guaranteed to cater to everyone in your party – vegan or not! Find them on Instagram at @donnamacyyc or in the Calgary Beltline at 1002 9 Street SW.
Canela is another newcomer to the Calgary Vegan Scene. 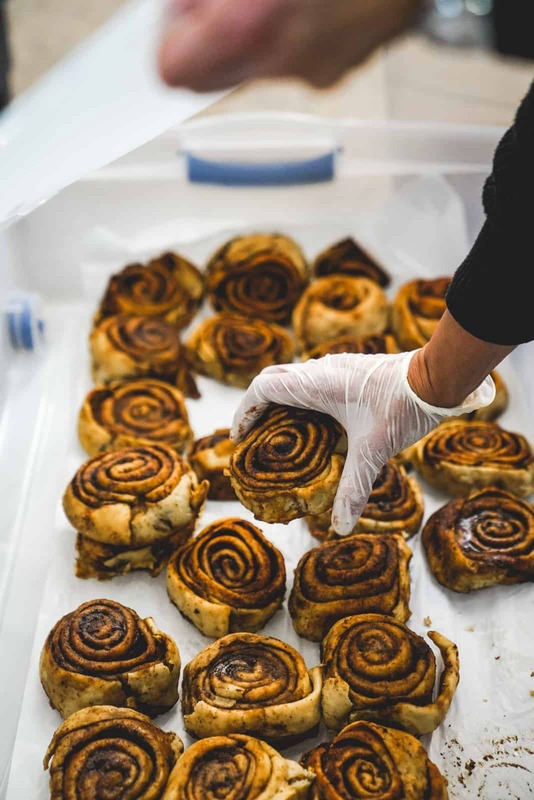 Offering delicious baked cinnamon buns, churros and a number of flavoured cream cheese frostings to top it off. 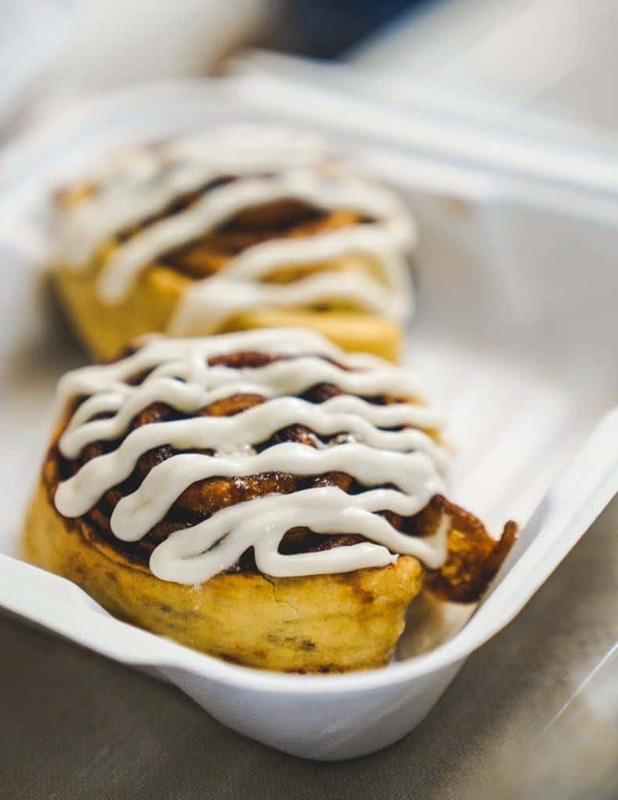 Sink your teeth into one of these cinnamon buns and float off into dessert heaven. Soft, gooey, and perfectly sweet these treats are a palate pleaser to say the least! Canela can be found as a year-round vendor with the Farmers & Makers Market at cSPACE or on Instagram at @canelayyc. 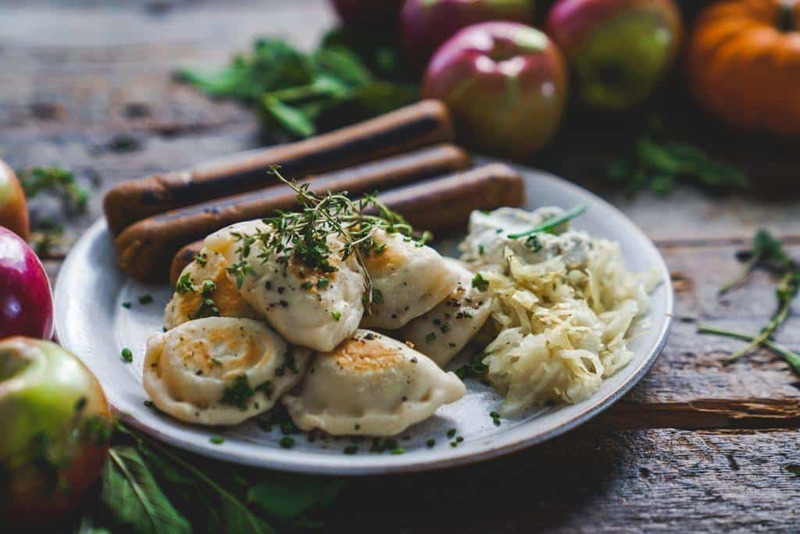 Pinched Pierogies is an amazing local company offering pinched by hand pierogis. 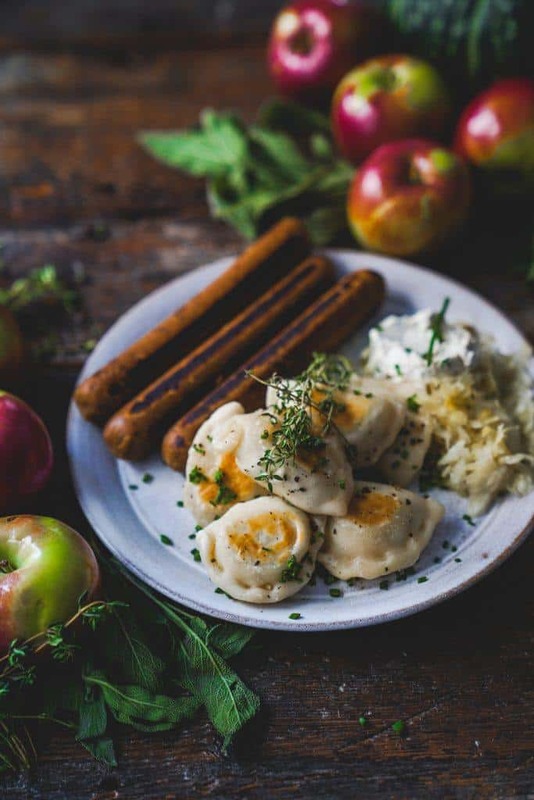 They offer a total of 8 unique and delicious plant-based pierogis made with love! 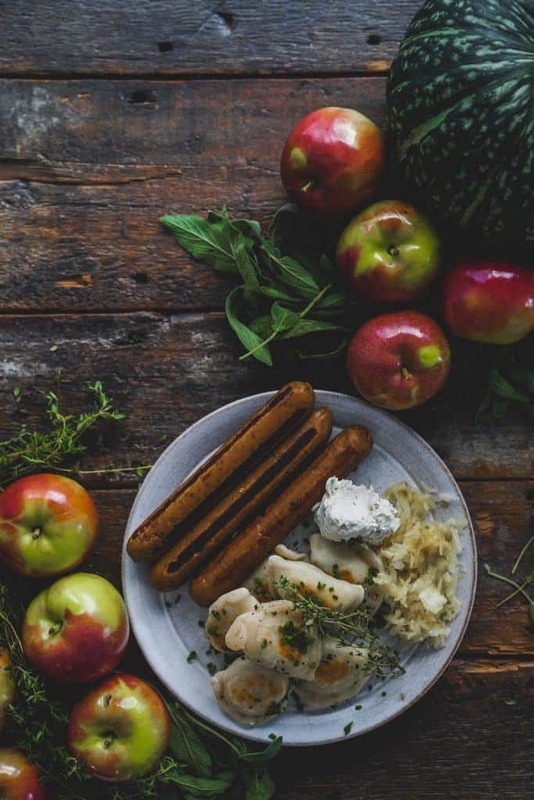 The Potato Leek + Dill pierogis are amazing on their own or pan fried with onions and topped with sauerkraut. Try the Sweet Potato and Black Bean Chipotle flavour if you’re looking to try something new! I can’t say enough good things about these pierogis – so take my word for it and give them a go! You can grab some for yourself year-round at the Farmers & Makers Market at cSPACE or check out their Instagram @pinchedpierogies to get all the details.